There are a number of folks around me with Japanese personas, or have other interests in Japanese culture. Although I don’t know what games were played with these, I can at least produce a pack to handle. 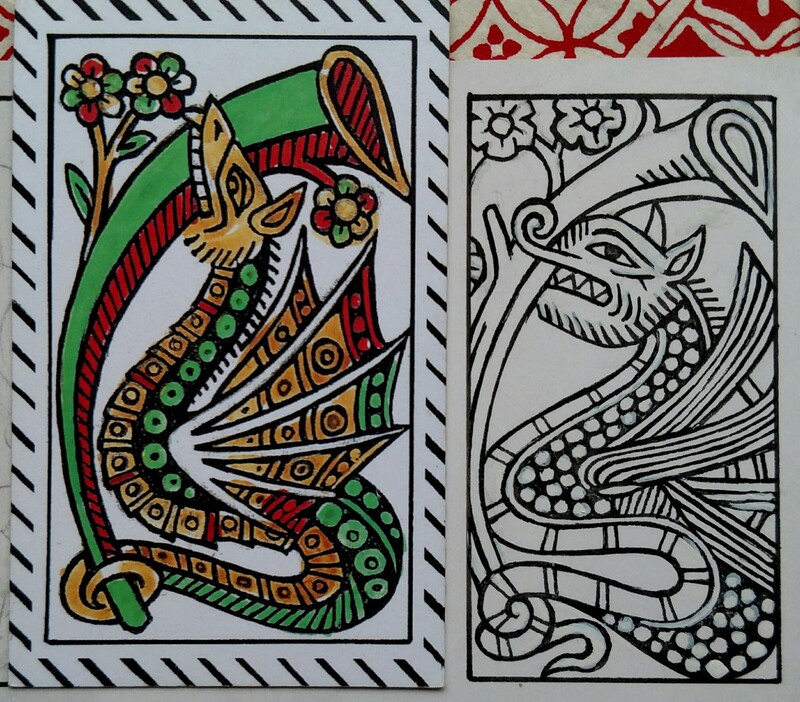 They are replicated from the dragon pattern cards the Portuguese brought with them. 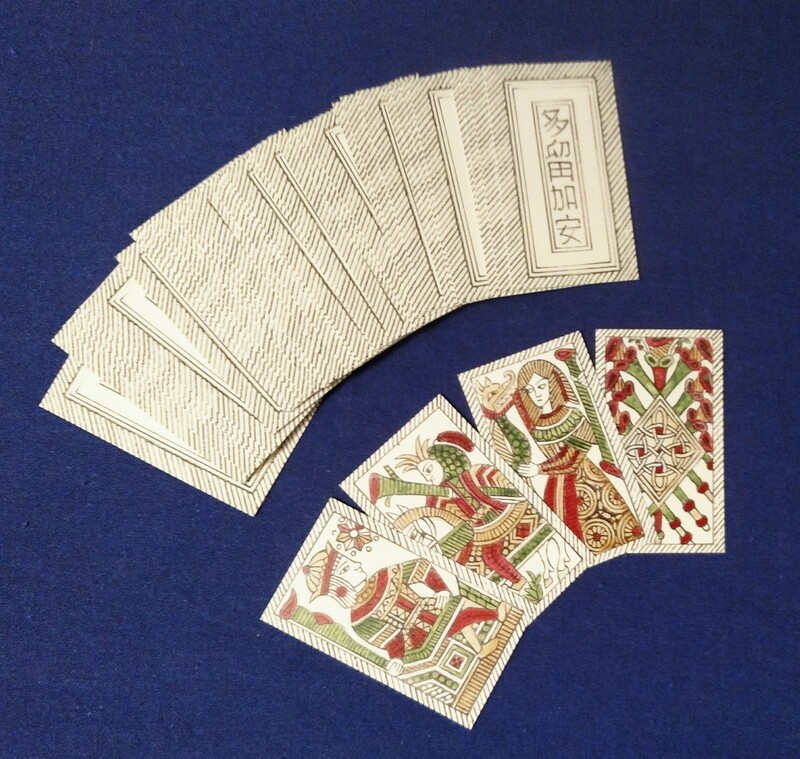 Since European sailors would trim their cards to keep the edges sharp for play, some scholars speculate this may have inspired the small stature of the Japanese copies. 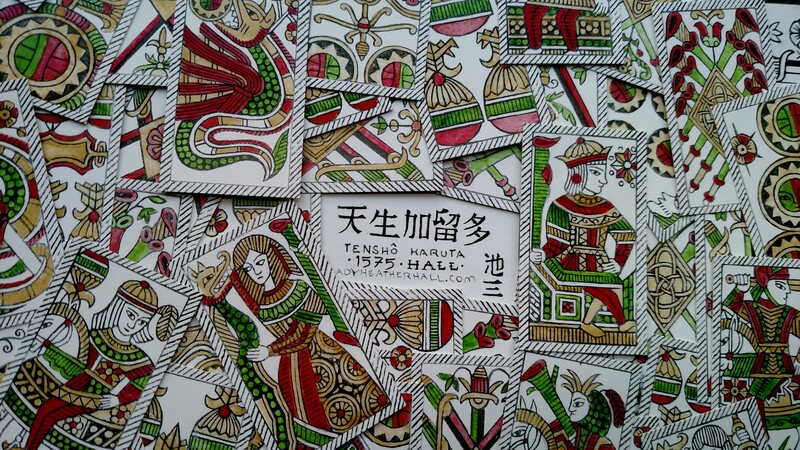 Tensho Karuta is about 70x40mm, and later packs such as Hanafuda are even smaller. The Portuguese “Nanban” first arrived on Tanegashima, an island in the Kyûshû region of south Japan in July 1543. This was the Tenbun (or Temmon) period, which lasted from July 1532 through October 1555. A single 16th century card (King of clubs) survives, as well as a bento box made from a plate. Bans of European culture as well as bans on gambling resulted in few artifacts and documents surviving. I am still editing. found this bit very helpful. Per request, there will be a small batch of signed and numbered limited edition first run of these cards. It is my hope to have them available for Pennsic.